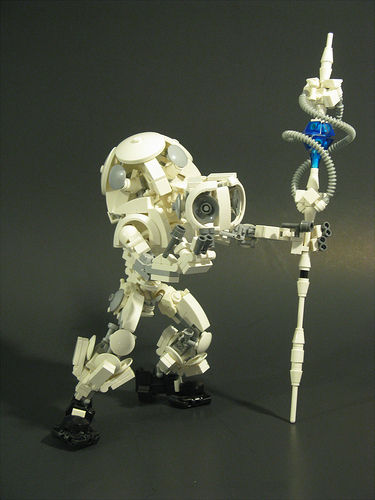 Bionicle builder retinence branched out to LEGO SYSTEM mecha recently, with excellent results. “Project Gimley” has a lot of personality. I mean, how challenging is it to make an immortal mecha look old? He RECENTLY branched out? Wow. I can’t believe that. Usually only the experienced mech builders can create something like this. Sll the hinges and angles look awesome.